The gringa has reached that age where she critically examines the tiny lines around her eyes and notices the effects of gravity slowly creating those puppet lines around my mouth as my cheeks droop a bit lower every year. And then there’s that little turkey wattle dewlap flap hanging under my chin and drawing attention to my scrawny chicken neck. Despite my flaws, the gringa is not interested in a facelift. Our Moon, however, gets one every so often whether it likes it or not. Yep, about every 80 thousand years or so the Moon is transformed into something unrecognizable from its former self. Does this amazing facelift happen overnight? No. It experiences its own form of nips and tucks gradually. Every year numerous comets, asteroids and meteors crash into our Moon and create almost 200 new craters. If you visit NASA’s photo gallery you can find an array of Moon images dating back to 2009 when the Lunar Reconnaissance Orbiter spacecraft began its mission. It has been mapping the Moon’s surface for years. Comparisons of the collection of images that span five years’ worth of work tells the gringa that mapping the Moon will be a never-ending job seeing as how everything is always changing. Although Silicone Valley in the United States gets worldwide accolades as the primary source for innovation, Switzerland may actually have left the gringa’s country in its dust. In fact, it may have been running circles around every technologically advanced nation since 2008 and no one has been aware of it. The gringa supposes that Switzerland simply prefers a low profile and is loathe to toot its own horn. But why does Switzerland keep winning? It seems that Switzerland consistently delivers with regard to patents, technological inventions and programs that recruit and develop new talent. Patents: The European Patent Office recorded, on average, 873 patent applications for every one million Swiss inhabitants. The Netherlands and Sweden came in second and third. It seems that the current generation of Nords are incredibly creative. Inventions: What might some of these patents be for with regard to the latest developments in technology? The Nords put their money where their reputation is, investing heavily in Swiss entrepreneurs and aspiring inventors who have made their country proud with products like: Mouse Scanner by CES; Doodle -digital scheduling platform serving 20 million people (for a culture linked with precision timekeeping this comes as no surprise to the gringa); CleanSpace One, a robot waste collector for use in ridding the galaxy of space junk developed by Swiss Space Center at Lausanne’s Federal Institute of Technology. Recruitment & Development: Switzerland aggressively seed funds entrepreneurs. For example, a student at Swiss Federal Institute of Technology (ETH) in Zurich, Johannes Reck, became CEO of his own start-up while still living in the dorms of Switzerland’s premier technical school of higher learning. He launched GetYourGuide, an online service to help people plan holiday and destination activities. Soon after launch, rather than Reck pitching his idea to investors, a local bank actually approached him and made an offer for seed funding. Within four years Reck’s idea has brought in more than $10 million in revenue to a country that invested $2 million in a Swiss citizen with an idea. Live in Switzerland for at least 12 years before applying for citizenship. Any years spent living in Switzerland between the ages of 10-20 count as double. In 2017 a new law may come into effect reducing the required number of years to 10. Obey Swiss law and customs. Pose no danger to national security. Meet the additional citizenship requirements of your local municipality. Submit citizenship application & schedule an interview. Pass citizenship test that is either written or verbal. 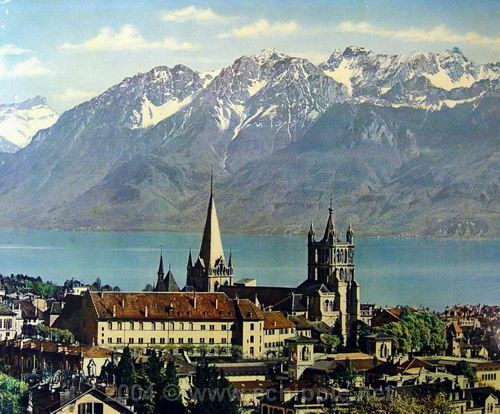 In addition to the basic requirements, living in Switzerland is not cheap. However, one aspect to a high standard of living is the corresponding quality of life enjoyed. To maintain a competitive edge in a society of high achievers, being multi-lingual is almost a necessity. There are four languages commonly spoken within Switzerland and to succeed in business, entrepreneurs would do well to master all four: English, French, German, and Italian. One great thing for up and coming innovators in Switzerland is that this tiny country boasts a marvelous business practice. The Swiss regard mentorship very highly. There are frequent events that pair entrepreneurs with mentors as well as investors. These are two key relationships that virtually guarantee success for a bright, ambitious young adult. So, young students and aspiring CEOs, rather than look westward toward the sunken landscape of Silicone Valley, the gringa says lift your eyes upwards toward the heights of the Swiss Alps. That is where success secretly abides.